For those of you have been reading my blog for a while now, you’ll know that I got braces last October. But don’t worry if you didn’t read my previous post, I’ll link in here so you can catch up. Anyway, I’m now 4 months in and I am already seeing amazing results. I honestly can’t believe it and I’m so impressed after such a short period of time! The most obvious change is that my one tooth that was wonky (see above) is now 99% straight. It’s like it was never out of place and I am so happy! I am so much more confident with my brace now too, as my teeth have straightened up, the brace itself has straightened and is so much more appealing, than the wonky line it once was. When the brace was initially fitted, because that tooth stuck out anyway, the brace felt absolutely huge and was pushing my lip out so much that people at work said I looked like I’d had fillers HAHA. BUT I can assure you there were no fillers and this is no longer a problem now the teeth are straight! My mind is actually boggled though at how a brace works. So as you can see, I’ve got standard train tracks and the brace has pushed one wonky, pushing out tooth back into place, at the same time as bringing another tooth forward as it kind of tucked under and was slanted to the left, rather than being down straight. I don’t know and I don’t suppose I will ever understand, but that’s ok, because it’s doing what it’s meant to be doing and it’s making me the happiest girl aliveeee! My last trip to the orthodontist was really positive, too. He attached one more brace bracket to close the gap where I had a tooth taken out (in to create space for the teeth to straighten into) and he was so amazed by the straightness of my teeth, that, he said I won’t need elastic bands anymore (you know those ones that go from top to bottom and you look like you’re constantly chewing gum? Well those! Hallelujah!!) AND not forgetting that he also thinks my braces are likely to be off before my sister’s wedding (when I will be a bridesmaid) in September! Eeeeeek!! When initially I was told my brace would be on for at least 18 months, 24 max and I am now being told they might be off in September which will have only been 11 months! I’m not getting my hopes up too much in case things start slowing down from here, but I will keep everything crossed, you know, just because. Anyway! My next appointment is mid-March and I’ll be having my bottom brace fixed. So all that pain and awkwardness from day 1, all over again! Waaah! At least I know what to expect and can probably manage it a bit better this time around. 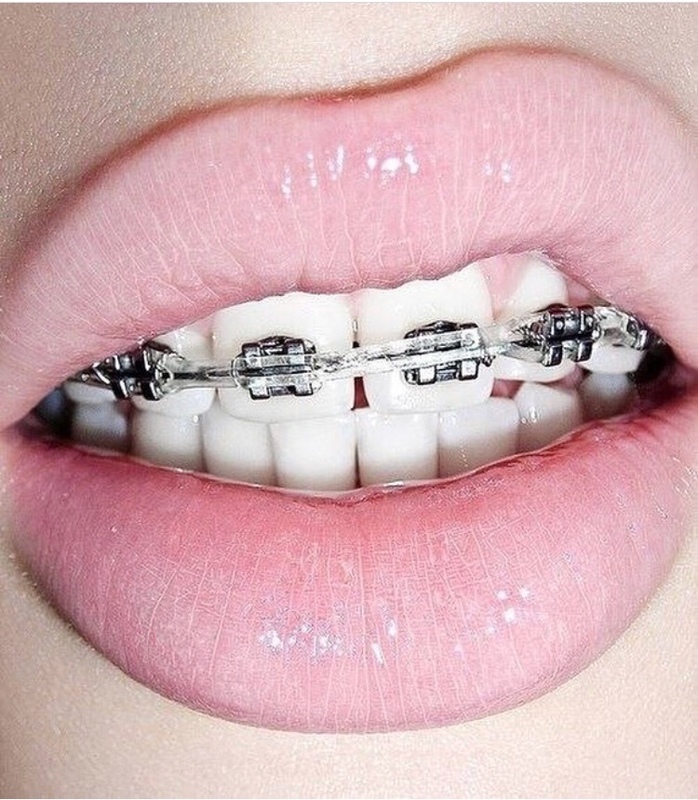 My ortho also wants to take off my front four brackets on the top and realign them as he said now they are straighter he can position them even better. So I have all of that to look forward to next! For now though, here’s a happy, smiley, straight toothed me! Previous Valentines or Galantines: A Style Guide For All!